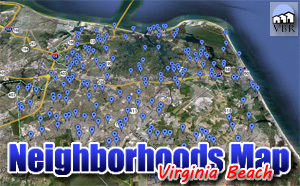 Looking to move to the Chesapeake Beach Area in Virginia Beach? Here are the Chesapeake Beach homes for sale! This neighborhood is beyond desirable! It is right off the bay and near the Chesapeake Bay Bridge Tunnel. It is walking distance to the beach (also known as Chicks Beach or Chix Beach) and Eagle Haven Golf Course. The local cool factor is off the chart here. Two hotspots are Alexanders on the Bay and Chick’s Beach Hell’s Kitchen. It is absolutely dead next to Little Creek Amphibious Base. The area is in the Cox School District. Nearby neighborhood include Church Point, Ocean Park and Lynnhaven. We have a page with all the homes for sale in Chesapeake Beach. Click on this button to see everything currently listed there. When you find a home you would like to see, please let me know! Call (757)589-1237 and I will arrange a showing! Or, on the property, complete the Find Out More form and click submit. I will get information to you right away!